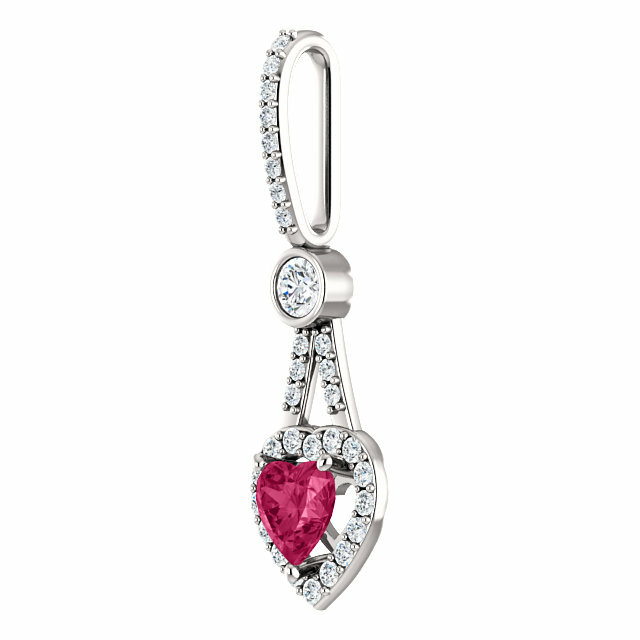 0.53 Carats of quality white diamonds adorn this high-end heart-shaped pink topaz gemstone pendant. The center gem is a 6x6mm Swarovski brand pink topaz stone beset by a halo of 0.24 carats of diamonds, 0.06 carats of accent diamonds, one 0.15 carat bezel-set diamond, and 0.08 carats of diamonds on the hoop/bale of the pendant for a total of just over 1/2 carat total diamond weight. The pendant comes standard with quality G-I Color, SI clarity stones. 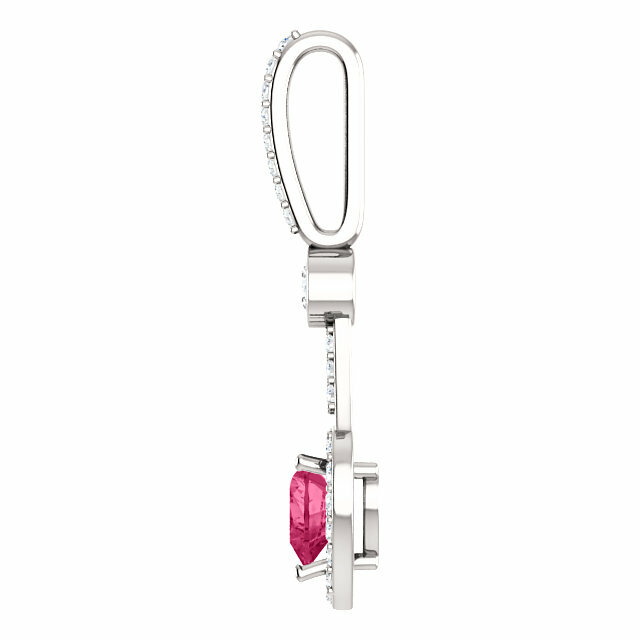 In all, there a total of 31 diamonds surrounding the beautiful, pure pink topaz center gemstone. Add a 14k white gold box chain to turn this jewelry piece into a necklace or wear it with a white gold necklace of your own. Please allow 2 weeks for us to create your heart pendant, as we make each one individually. Would you like this heart pendant with a different gemstone? Simply let us know. We can most likely have it made for you in your gemstone of choice, even if it is not listed on our website. We guarantee our 0.53 Carat Diamond Halo Swarovski Pink Topaz Heart Pendant to be high quality, authentic jewelry, as described above.